Signalling that the iMac Pro will likely meet its December ship date, Apple suppliers are reportedly preparing the AMD Radeon Pro Vega cards that will power the computer's graphics. Apple orders have been picking up since September, according to sources for Taiwan's DigiTimes, which noted that local firm SPIL is packaging the GPUs, with testing helping from King Yuan Electronics. The firms will are expected to be busy "through the end of 2017" in tandem with the iMac Pro's rollout. General fabrication of the Vegas is reportedly being done by U.S.-based firm GlobalFoundries, using a 14-nanometer process. iMac Pro buyers will have an option to choose between the Vega 56 or 64, which have 8 and 16 gigabytes of HBM2 memory, respectively. The GPUs are likely a major contributor to the cost of the iMac Pro, which will start at $4,999. The machine will sport a 5K display however, as well as an 8-core Intel Xeon processor, scalable up to 10 or 18 cores. By default it will also come with 32 gigabytes of RAM and a 1 terabyte SSD, with options to push those specifications still higher. 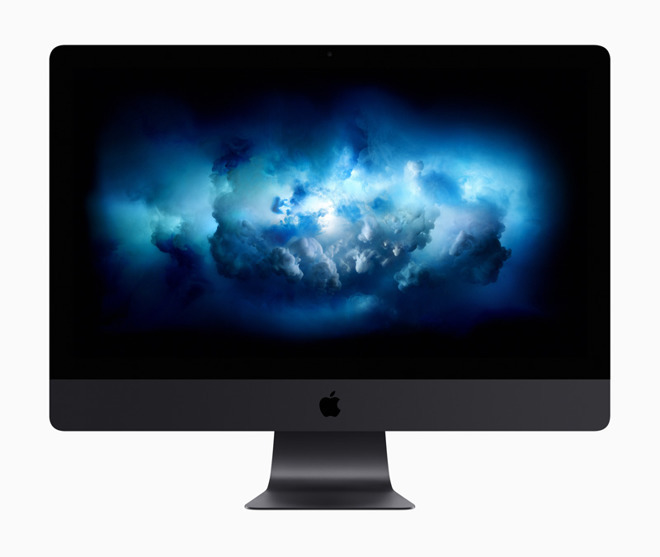 The iMac Pro is the first half of Apple's response to complaints it has neglected professional-level Macs. The second is a modular Mac Pro, as well as a matching first-party display, both due in 2018.